On a fairly regular basis I host live broadcasts on the Practical Ed Tech Facebook page. During those broadcasts I answer some of the many questions that I get asked about educational technology. You can email your questions to me or submit them live during the session and I'll answer them on air. 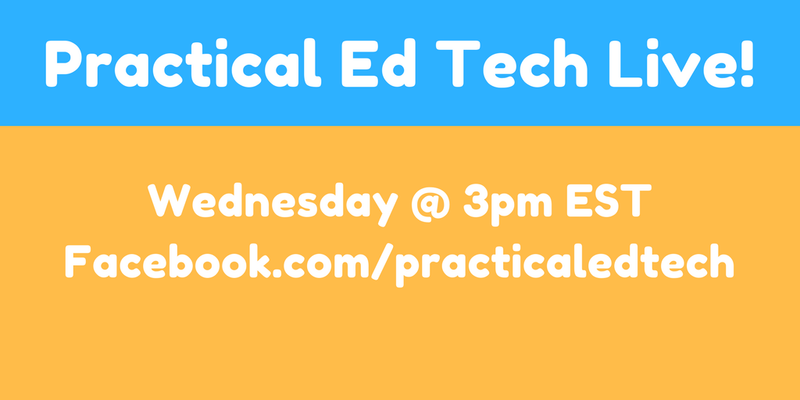 The next Practical Ed Tech Live broadcast will be tomorrow at 3pm EST. Join me! And if you missed the last broadcast, you can watch the replay here.